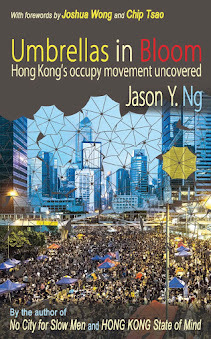 The H1N1 virus has reached Hong Kong. We knew it was just a matter of time but the news managed to shock us just the same. Signs of a city on full alert are everywhere and feelings of an eerie déjà vu palpable. In a place as densely populated as Hong Kong, no amount of planning or emergency drills will prepare us for an all-out epidemic. Peculiar but somewhat understandable, the city’s response to its first confirmed case of the swine flu provides a window on our collective psyche in the post-SARS era. The temptation to offer a few of my own observations is too great to resist. Take one for the team. The symbolic first case of the deadly virus prompted the government to lock down the Metropark Hotel (維景酒店) in Wanchai, where the infected, a 24-year-old Mexican man, once stayed. During the SARS outbreak in 2003, Metropark’s sister hotel in Tsim Sha Tsui rose to infamy after one of its tenants fell ill and infected 16 others. And you think lightning doesn’t strike twice! Taking no chances this time around, police cordoned off a busy corner of Hennessy Road with crime scene tape, forcing nearly 350 hotel residents and staff into solitary confinement. Like caged animals, the captives are fed nameless food in nameless Styrofoam boxes three times a day, separated from the outside world by a pane of glass. But the government’s heavy-handed approach to disease control has gone largely unchallenged. No explanation has been offered for what many would consider draconian measures or a case of over-reaction. After the SARS health scare, citizens have tacitly accepted the socialist ideology that the public good must trump individual rights. Everybody loves drama. The hotel lockdown makes for sensational news reporting and a perfect setting for the next season of Survivor. A single confirmed case was enough for authorities to raise the public health alert to the highest “emergency” level. At a makeshift press conference, the Secretary for Education teased parents with the possibility of shutting down all schools for the week, only to drop the ill-thought-out idea a day later. As if to outdo the government in histrionics, the IFC and several other commercial buildings have installed body temperature sensors at every entrance, turning places of business into maximum security prisons. On my way to work this morning, I was accosted by a security guard at the lobby who drew a ray-gun out of nowhere and fired it right between my eyes. Before I had time to object, the non-contact infrared scanner had already registered my body temperature to one-tenth of a degree. So much for trying not to stoke fear or cause panic! Behind every crisis lies an opportunity. In Central, the nerve center of Hong Kong’s high finance, savvy business owners responded to the viral attack with swiftness and ingenuity. A Chinese medicine shop on Stanley Street cajoles passers-by with a ready dose of flu-fighting herbal tea (感冒茶). Local pharmacies on Queen’s Road Central now offer bundle discounts on hand sanitizers if purchased with antiseptic soaps. Under the escalators on the hilly Cochrane Street, opportunistic street vendors have given up fake handbags and switched to hawking face masks at $50 a box. 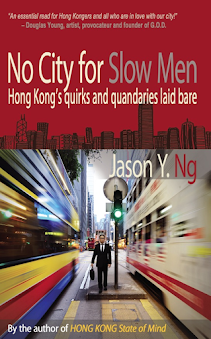 They are the reason why Hong Kong is ranked number one among the world’s freest economies for 24 years straight. Every man for himself. The face mask has made its way back into our closets, once again an integral part of our daily outfit. The practice of civilians wearing face masks as a health precaution originated from Japan, where school children are taught at a young age to put one on whenever they feel under the weather. 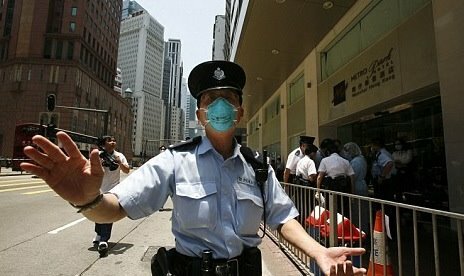 Whereas the Japanese wear a mask out of consideration for others, Hong Kongers do so for a far less altruistic reason: to keep themselves from breathing in other people’s germs. In the face of a deadly viral attack, it’s every man for himself and better you than me. Do unto others as they do unto us. People around the world are struggling to figure out whether all this hoopla about the swine flu outbreak is a colossal case of over-reaction. In the United States, for instance, the regular seasonal flu claims as many as 36,000 lives every year, whereas the H1N1 virus has so far managed to kill only a couple of people in Texas. Our stock market, ever the beacon of human rationality, shrugged off the outbreak with a week-long rally. Despite signs of the epidemic leveling off, the Chinese government continues to impose aggressive precautionary measures, suspending all flights into and out of Mexico, banning all pork products from the region and singling out North American visitors for quarantine. Mexican President Felipe Calderón lashed out at Beijing earlier this week for “acting out of ignorance” and “taking discriminatory measures” against his people, instantly turning a public health issue into a political hot potato. 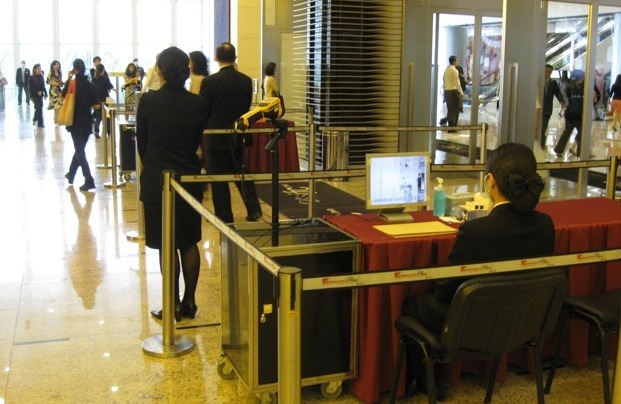 Not six years ago, China and other Asian governments leveled similar accusations against the West for its heavy-handed response to the SARS outbreak. When it comes to international relations, we don’t hesitate to inflict on others the same harm they inflict on us, as victims and victimizers trade places in an endless cycle of injury and blame. That is, perhaps, the saddest part of the swine flu saga.